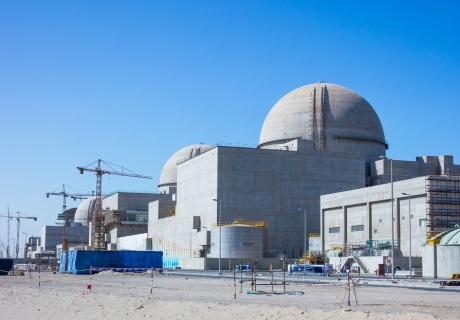 Fuel loading at unit 1 of the United Arab Emirates' first nuclear power plant will now take place in late 2019 or early 2020. Nawah Energy Company said the updated start-up schedule reflects the time required to complete operator training and to obtain the necessary regulatory approvals. Nawah said it has completed a comprehensive operational readiness review, carried out "in strict accordance with the principles of a healthy nuclear safety culture, which requires conservative decision-making to support nuclear safety". The resulting projection for the start-up of Barakah 1 "reflects the time required for the plant's nuclear operators to complete operational readiness activities and to obtain necessary regulatory approvals, all of which are designed to ensure safe, sustainable nuclear operations after start-up". Nawah added that the review "reflects a conservative approach intended to ensure that the highest standards of nuclear quality, safety and security are firmly established as the foundation for future nuclear operations in the UAE". The loading of fuel into unit 1 will only begin once all preparations for nuclear operations are successfully completed and an operating licence has been received from the Federal Authority for Nuclear Regulation, Nawah said. This is now expected to occur between the end of 2019 and early 2020. Nawah CEO Mark Reddemann said: "Nawah's commitment to meet the highest standards of quality and safety is the main driver for all our work. As a result, our review relied on global nuclear standards to analyse the remaining work required for nuclear operations, and we are confident that this new projection for fuel load gives Nawah a nuclear-centric and conservative schedule to deliver nuclear operations in alignment with the highest standards of safety and quality. "Unit 1 is the pioneering nuclear energy reactor in the UAE and will set the benchmark for the three remaining units of the Barakah plant and, possibly, for other nuclear energy projects in the Arab world." Four Korean-designed APR-1400 units are being built for the Emirates Nuclear Energy Corporation (Enec) at Barakah, in the Dhafrah region of Abu Dhabi, by a consortium led by the Korean Electric Power Company (Kepco). Construction began on the first unit in July 2012, unit 2 in May 2013, unit 3 in September 2014 and unit 4 in September 2015. The completion of construction at unit 1 was celebrated in March at a ceremony attended by President Moon Jae-in of South Korea and Crown Prince of Abu Dhabi Sheikh Mohamed bin Zayed Al Nahyan. The unit is now in the commissioning and testing phase. Enec established Nawah Energy in 2016 as a joint venture with Kepco to operate and maintain Barakah units 1-4. The company is 82% owned by Enec and 18% owned by Kepco. Overall construction of the Barakah plant is now more than 88% complete. All four units had originally been expected to be in service by the end of 2020. When operational, the four Barakah units will provide up to one-quarter of the UAE's electricity needs.